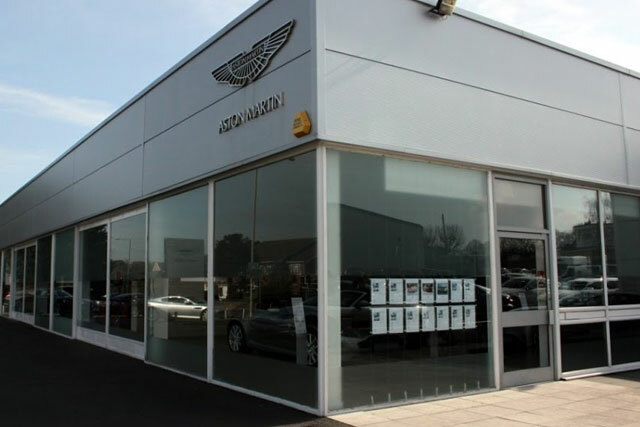 Drive away from Motorparks with an attention-grabbing vehicle by selecting from our luxurious range of cars at our Grange Aston Martin Brentwood car dealership. The Aston Martin brand has been famous for creating some of the most exquisite cars in the world ever since Robert Bamford and Lionel Martin established the company in 1913. A century later and the firm's current crop of vehicles are just as iconic, as can be seen by browsing our Grange Brentwood Aston Martin dealership stock below. Phenomenal power, unmatched practicality and jaw-dropping style can all be seen whether you check out the ultra-modern new Aston Martin V8 Vantage Coupe, the edgy new Aston Martin V12 Vanquish or the blisteringly-quick new Aston Martin Rapide S.
Don't forget that there are lots of deals to be found in our tremendous range of used Aston Martin cars as well. Sit back and enjoy browsing the full collection available at our Grange Aston Martin Brentwood car dealership online today. Alternatively, why not get a closer look at the range by visiting the dealership? We are based on Brook Street, in Brentwood, just off the M25.